The Woolverstone Project were delighted to be invited by the Royal Harwich YC to be a part of the visit by HRH The Princess Royal to the club celebrating their 175th Anniversary. The celebrations included the release of an Illustrated History Book of the Royal Harwich Yacht Club, 1843 - 2018. Her Royal Highness was presented with a copy of the book and signed a copy for the RHYC library and archive collection. During her visit, The Princess Royal named a new RS Venture for the project. 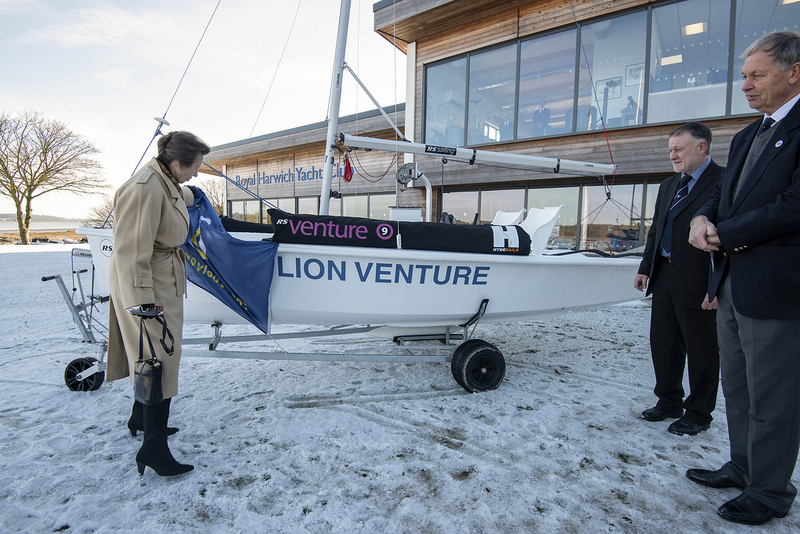 The boat was named Lion Venture in honour of RHYC's "Rampant Lion", part of its identity since being given an admiralty warrant in 1845 when Her Majesty The Dowager Queen Adelaide became its first Royal Patron. The Project was founded as part of the 150th anniversary celebrations for the club and became a separate charity two years later.